VersionEye stands for Continuous Updating. Therefore we did some more work on our GitHub Single Page App. The layout looks a little different and you are able to see more repositories on your screen. With a single click you can display the branches and with one more click you can add them to your VersionEye project list. 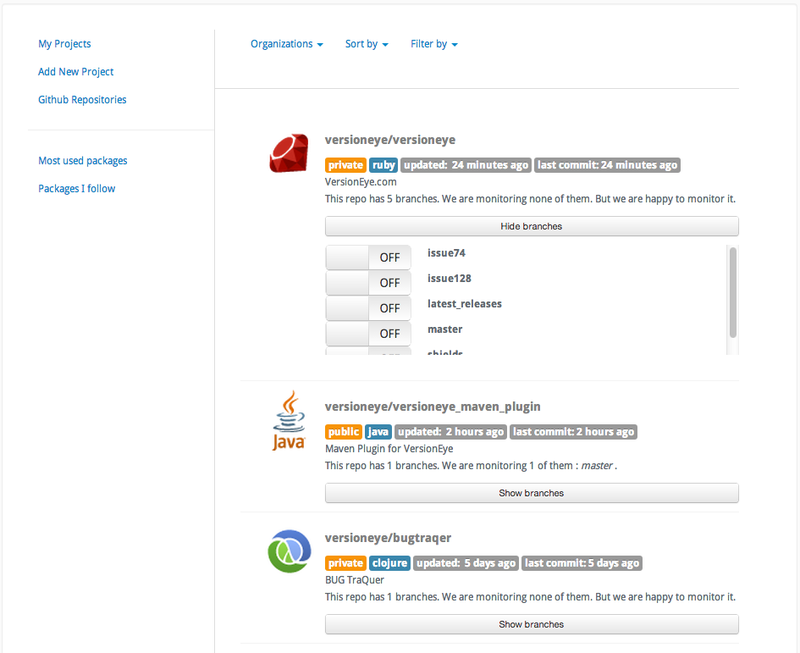 Beside this we changed the sorting once again, descending to the last commit in the repositories. How do you like our new VersionEye stickers?